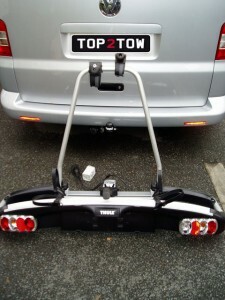 Tow Bar mounted Bike Racks from leading manufacturers covering North Devon and North Cornwall. 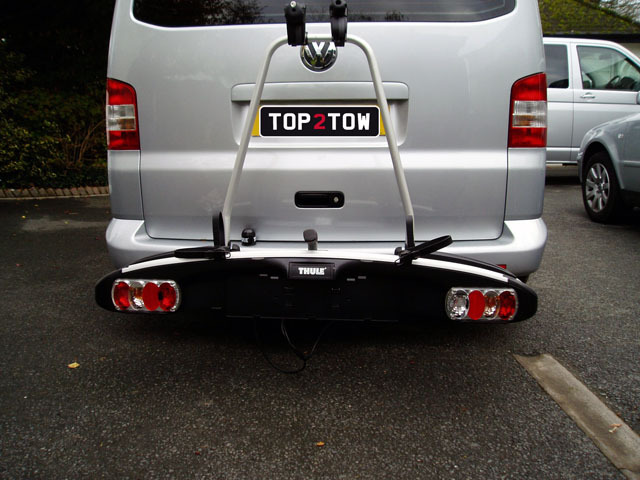 Cycle racks can be a very useful way of transporting your bikes and allow you to continue to have the full use of the towbar systems. 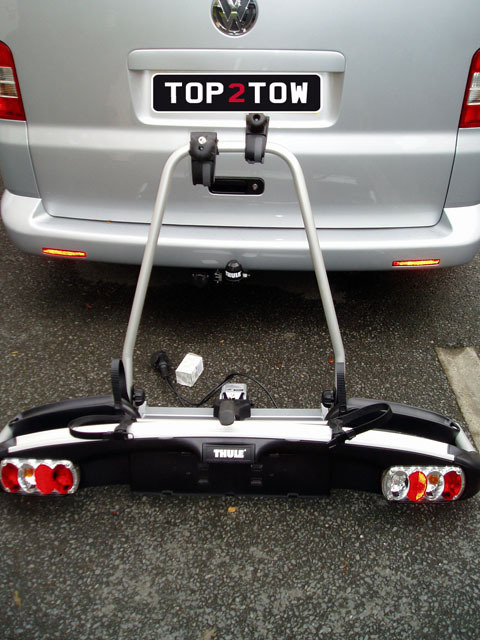 The bike racks we supply range from the standard flange plate mounted carriers, which bolt onto the towbar behind the towball and can transport two, three or four bikes. 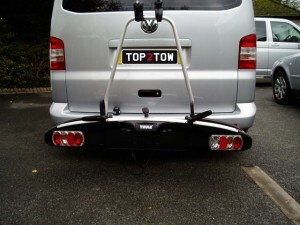 With this style it is advisable to consider displaying a further lighting board as it is a legal requirement to do so if the car lights and number plate are obscured by the bikes. 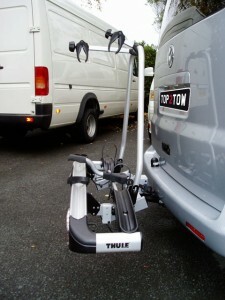 For the swan neck and detachable towbars there is a range of cycle carriers designed to clamp onto the towbar itself. These can be extremely quick and easy to use, offering a secure locking mechanism for two, three or four bikes. 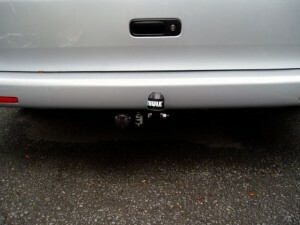 They contain a built in light board system so no extra lighting is required. They also have a tilt facility which allows access to the vehicle boot when the bikes are on the carrier! For any further information on cost and availablity do not hesitate to contact us, or you can visit our suppliers websites and find out for yourselves.